We were invited to a cool behind the scenes guided tour at Northpoint Mall yesterday. Led by Andrew Little, the Tour Manager, we got to check out all of the large scale models that were built by LEGO Master Builders! There was a fun scavenger hunt to do, and when completed, the kids on the tour got an official LEGO Americana Roadshow poster at the LEGO store. The detail that goes into these models is impressive. 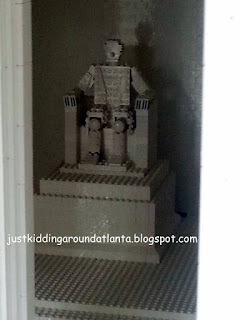 To look inside the Lincoln Monument model and see a LEGO Abraham Lincoln - wow! 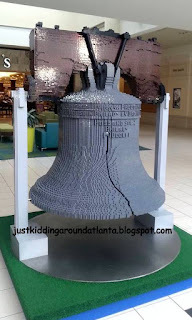 The Liberty Bell is built at 1:1 scale - David was excited to see one model that was the actual size of the original. 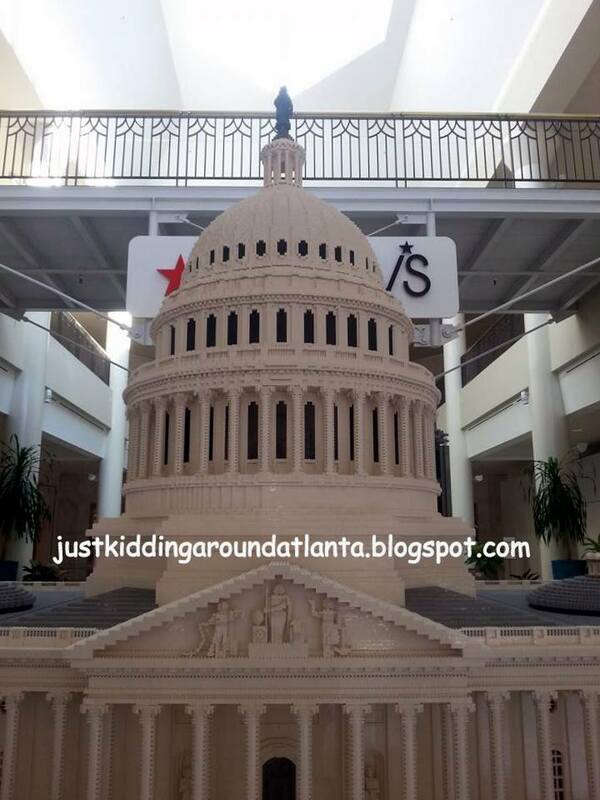 But his favorite model was the Capitol building. It's beautiful! Again - the detail the builders put into these models is just incredible. The LEGO Americana Roadshow will be on display at North Point Mall in Alpharetta until October 4. If you have kids who love LEGOs, this is worth the trip! 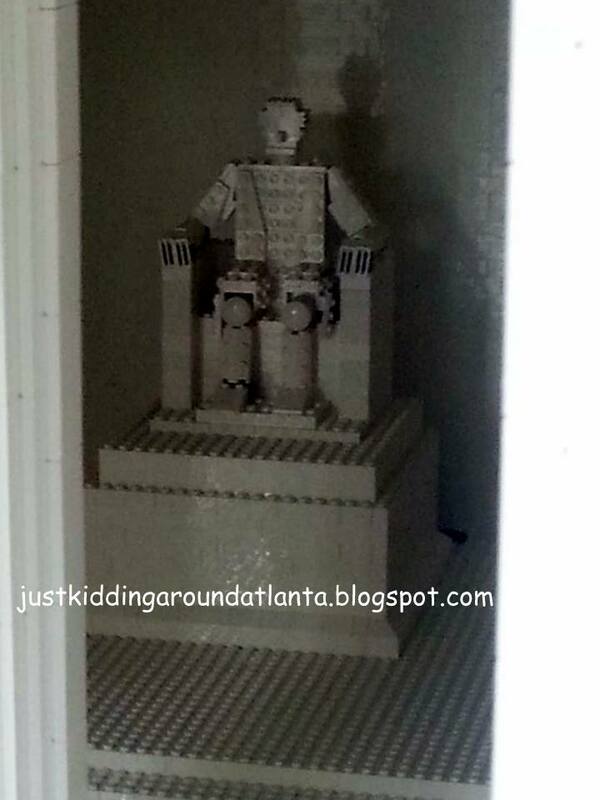 (Heck, adults will love this too!) The models are located in three areas of the Mall, and each has a informative sign with information about the model. 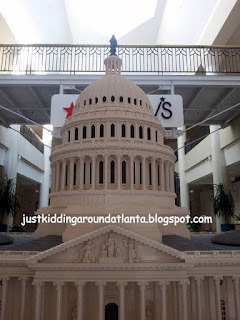 There are also other LEGO models upstairs in the mall that you can check out. We loved this Mt. Rushmore model! 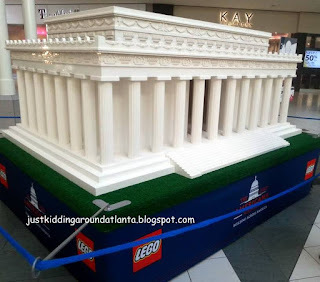 Next weekend, the LEGO store will offer a FREE Make and Take mini LEGO landmark. 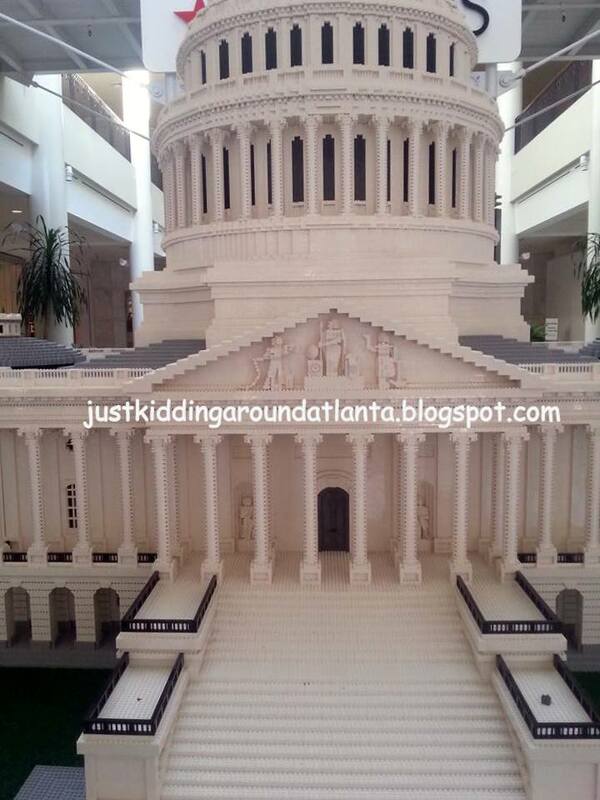 (I believe you get to make a mini White House). It will be offered Saturday and Sunday, September 26th and 27th from noon - 4 pm. 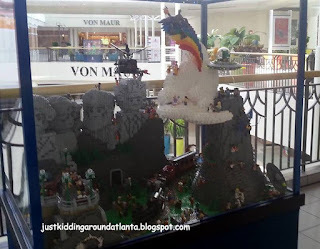 You will find this activity at the Upper Level West Court Entrance at North Point Mall in Alpharetta. 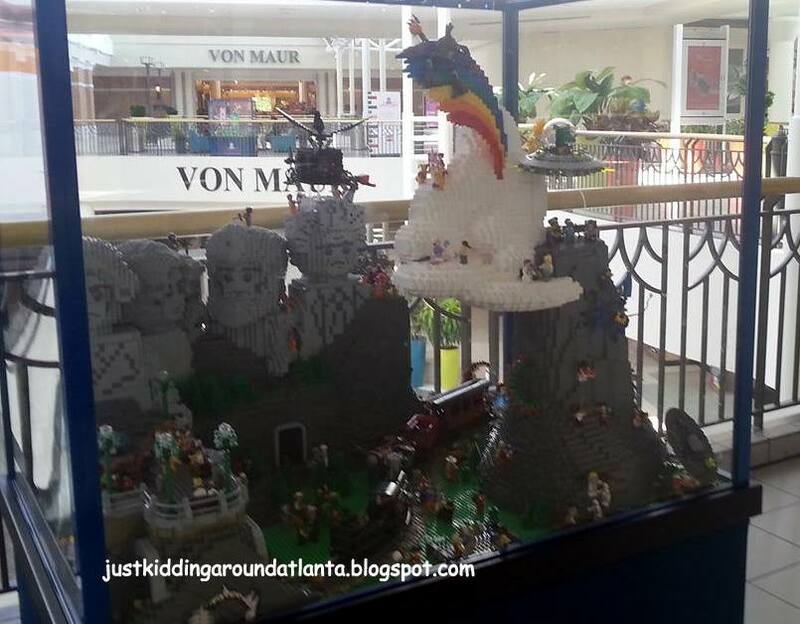 Visit the mall on Facebook or this link for more information about the Tour or next week's #LEGO Make and Take. The next, (and last) stop on this tour is Oct 17-Nov 1 Christiana Mall in Newark, DE. Thanks to LEGO & North Point Mall for having us out for this fun event! We received a tour of the Roadshow and goodie bags from LEGO in exchange for sharing the information about the LEGO Americana Roadshow. No other compensation was received. Looks like you guys had a lot of fun!!! Atlanta Girls Night Out for SAHMs & WAHMs!